This sparked Angus’s interest: I was very interested to read the article about the taxi companies in Hong Kong, and especially in the reference to Tsan Yung Mansions. I live just round the corner from the building. It’s quite handsome, at least, by Hong Kong standards. All photos are courtesy of Angus Harden. 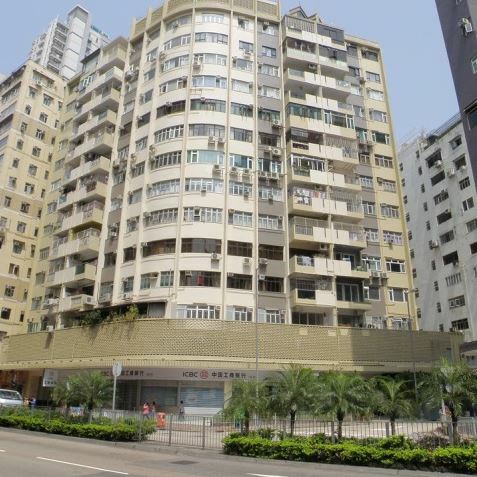 The name “Mansion” immediately dates it’s construction – it was built in the early 1960’s.Virtually all the flats are slightly larger than the usual Hong Kong standard built at that time. The first floor is surrounded by lattice brickwork which conceals a car park which extends out into an open space behind the building. The building contains 72 apartments – and well over 100 car park spaces. This would have been a very unusual feature at the time it was built, because so few people in those days owned and ran cars. Even now very few folks here own cars compared with other cities. 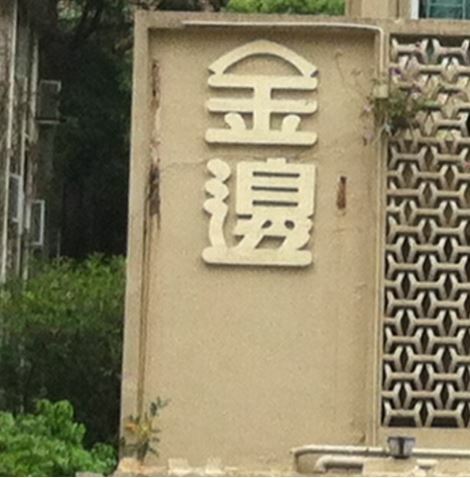 This was the Chinese name of a very famous firm that operated in Kowloon, namely the Blue Taxi Company. The company built Tsan Yung Mansions (named after the company’s founder) to accommodate not just the founding family, but the HQ of their taxi company on the ground floor and parking for their fleet of 170 cabs on the first floor. Running a taxi company during the 1960’s could be a tiresome affair. There were strikes by the drivers, often apparently politically motivated, and, of course, the riots in 1967. So, in the early 1970’s the company closed its taxi business and instead concentrated on a rather more lucrative business – property development. 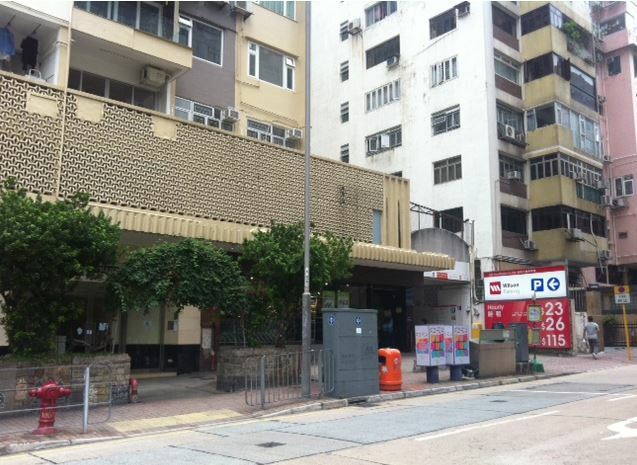 At about the same time, an old established HK Trading Company, A.S.Watson,(now owned by Hutchinson), decided it was an opportune moment to open a supermarket chain and started to look round for suitable premises. They needed ones with plenty of retail space on the ground floor and hopefully, with additional space for their clients to park their cars close by. It’s now called Fusion, same outfit, different name, but everyone round here still refers to it as Park’n Shop. I wonder if the supermarket took over the premises directly after the Blue Taxi Company vacated them? I would be delighted if anyone could enlighten me. This article was first posted on 29 April 2017. Thank you for your information. 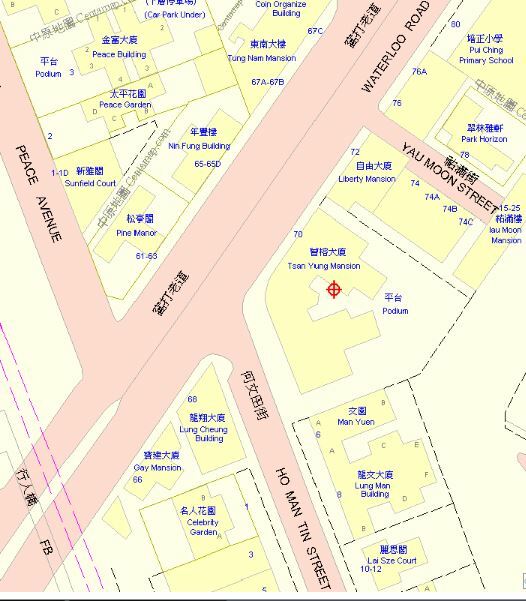 I lived in Tsang Yung Mansion when I was child.. The information that you posted is of interest for me. Ps Regrettably, I cannot offer any information what you need.